There’s nothing that makes a D&T teacher prouder than seeing their students go onto successful careers, particularly when it’s in a design related area. 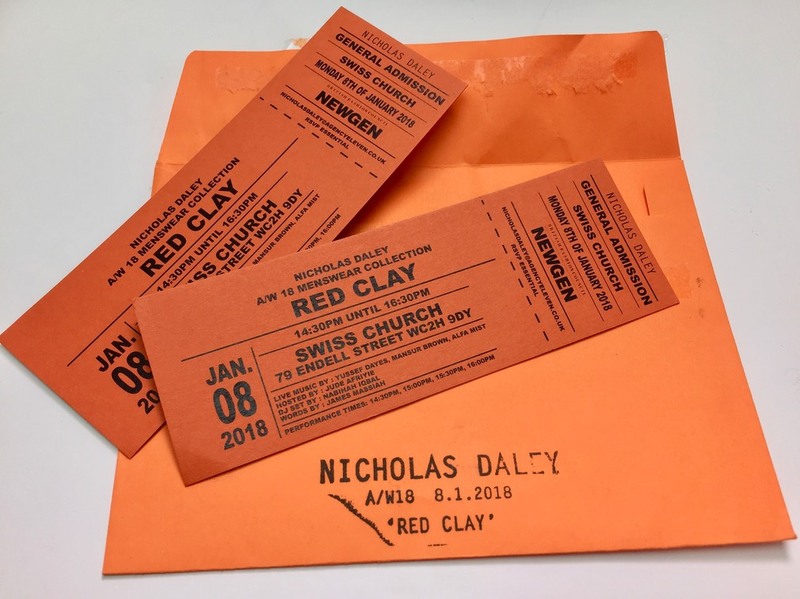 I was therefore incredibly proud to be invited to the collection of my ex-student, Nicholas Daley, who showed his Autumn/Winter 2018 ‘Red Clay’ menswear collection as part of London Fashion Week Men’s in January 2018. Nicholas graduated from Central Saint Martins in 2013 and went on to set up his own label, producing collections strongly influenced by his dual heritage, his love of music and his passion for British manufacturing. 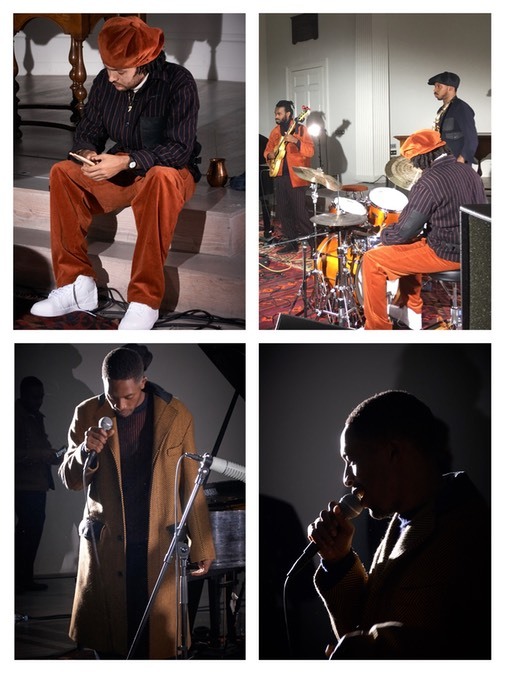 These influences were clear in his latest collection which was inspired by his Scottish and Jamaican heritage and the music of Freddie Hubbard, Miles Davis and John Coltrane. His support for British manufacturing has led Nicholas to work with leading UK manufacturers in all his collections. 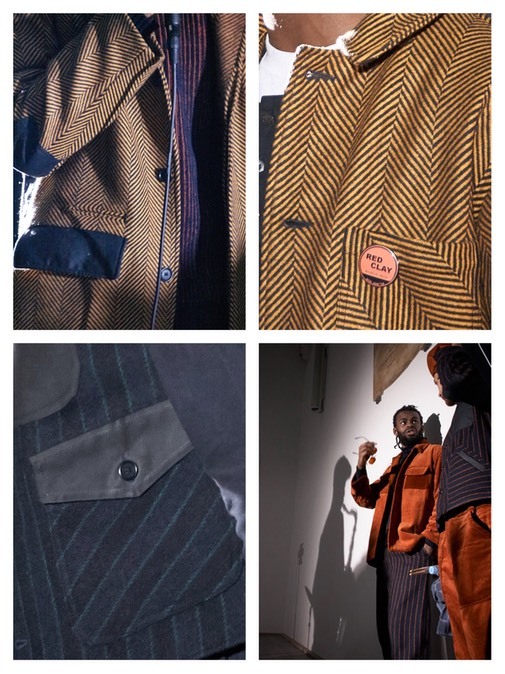 For his ‘Red Clay’ collection this included working with Scottish fabric mill Lovat to develop a bespoke herringbone tweed, as well as Scottish knitwear company William Locke, and milliners Christys, with whom he developed baker boy and pork pie hats as part of his collection. The attention to detail in his pieces reflect his passion for traditional methods of production and his focus on high quality creative pieces. 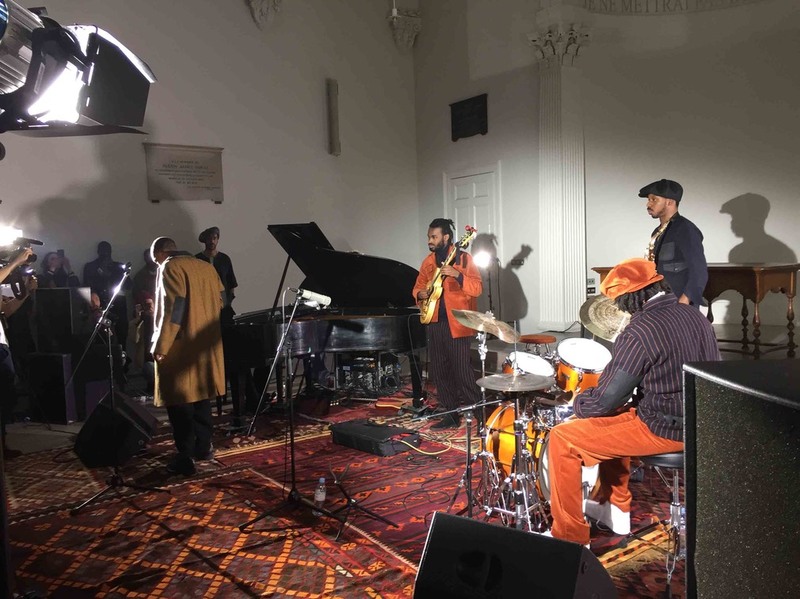 The ‘Red Clay’ collection was showcased as a live jazz session rather than a traditional fashion show with the band wearing Nicholas’s designs. 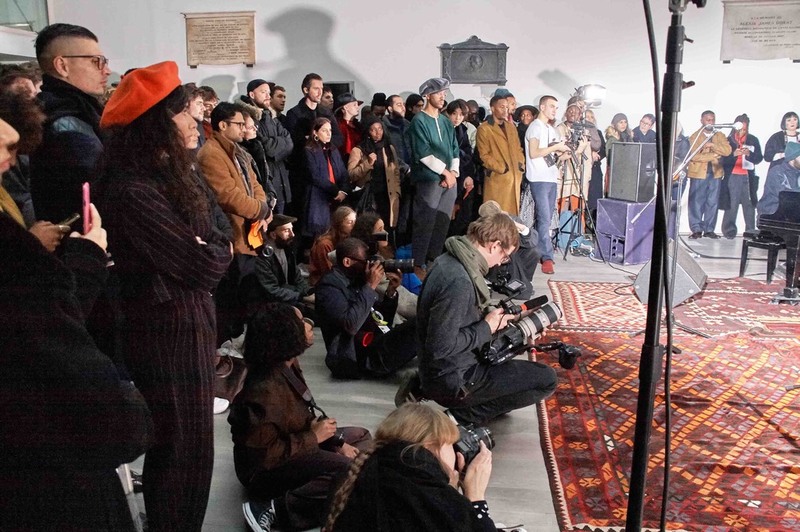 This created a fabulous atmosphere in the venue, making the event feel more intimate, with the audience being a real part of the show. Both the collection and the format of the show got rave reviews including being featured in Vogue, GQ Magazine and many others. As a menswear designer Nicholas breaks the mould of the traditional stereotyped image of what a successful fashion and textiles student is. At school he was never afraid to show his enjoyment for textiles and was a leading figure in many of the events run by our department (Lutterworth College in Leicestershire) aimed at challenging the perceptions of what textiles is, and in particular in encouraging other boys to consider textiles as a potential career. At GCSE Nicholas was a slightly reluctant teenager who enjoyed textiles but, like lots of students at that age, he often had to be cajoled and pushed to maximise his potential, something we joked about when I met him at the ‘Red Clay’ show! The freedom of A level encouraged him to develop a strong work ethic, and this along with his natural creativity and a keen desire to focus on the technical aspects of his work, led to some excellent outcomes, including a complex jacket he designed for his AS level which included a hood with integral speakers, an early indication of his ongoing love for music that continues to influence his later work. 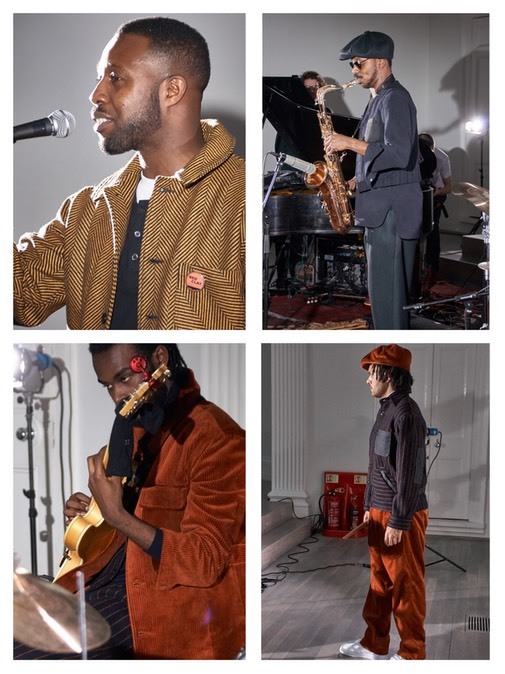 In 2017 Nicholas was chosen as one of fifteen designers awarded NEWGEN support by the British Fashion Council. This scheme supports the very best emerging talent with the aim of building global high end fashion brands of the future. 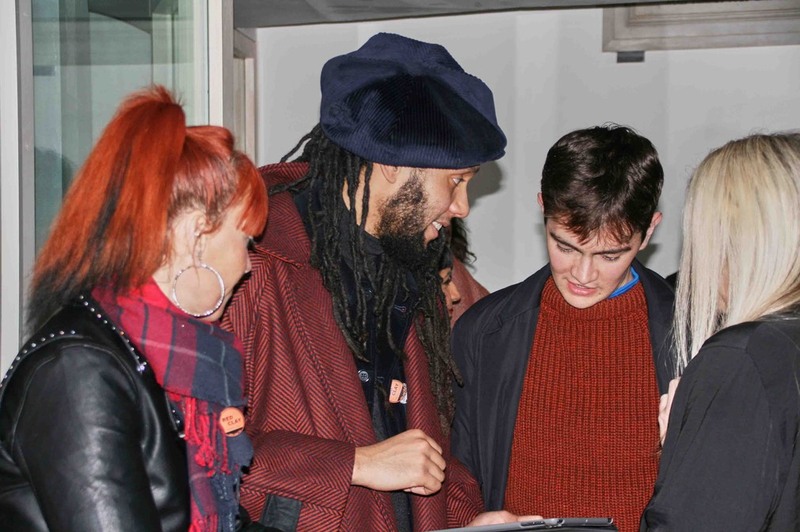 Support for Nicholas and the other NEWGEN designers has included mentoring, business support as well as opportunities for showcasing their work, such as being featured at London Fashion Week Men’s. For Nicholas the year has culminated in him and the other NEWGEN designers meeting the Queen as part of London Fashion Week – a photograph which made me smile both with pride, but also with some amusement, who would have thought in those days back in the classroom that one day he would meet the Queen at such a prestigious event! For many students the seeds of a life long passion and career in design starts with their GCSE and A level choices. Whilst, like Nicholas, these students go onto university and into the work place gaining invaluable and focused experience along the way from many highly skilled experts, it’s often a teacher at secondary school who kick started and nurtured that initial interest. Success stories like Nicholas’s make all the hard work worth it!